Gary Oldman played Winston Churchill in the Darkest Hour, wearing a Breguet pocket watch that was re-created for the movie. Last night at the Acadmy Awards, actor Gary Oldman won “Best Actor in a Leading Role” for his peformance in Darkest Hour. He also has won a Golden Globe award for the portrayal of Winston Churchill. 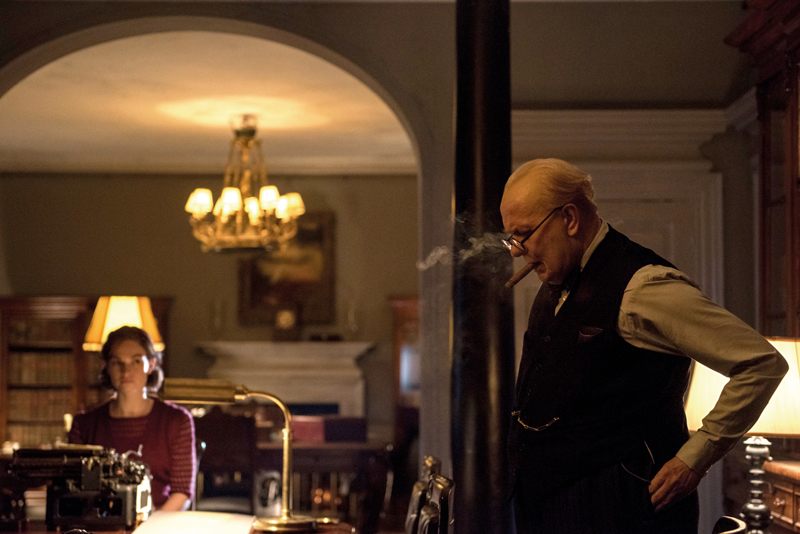 The Darkest Hour focuses on four weeks during World War II and the decisions being made by British Prime Minister, Winston Churchill, played by Oldman. In the movie, he wore a Breguet pocket watch that is a replica (in looks) of the original Breguet pocket watch, No.765, owned by Sir Winston Churchill. Churchill’s pocket watch was built for Churchill’s grandfather, the 7th Duike of Marlborough in the early 1890’s. It features the Duke’s coat of arms on the case back. When the pocket watch was passed on to Winston Churchill, he cherished it as an heirloom and as a good luck charm, and was rarely seen without it. Nicknamed the “Turnip” watch, that original was a minute repeater with split-seconds chronograph. For the movie, Breguet recreated the exterior look of the pocket watch exactly. However, the complicated movement within was not re-created for the movie prop. The original Breguet No. 765, is on display at the Churchill War Rooms in London, as part of the Imperial War Museum, still in perfect working order. The replica created for the movie toured the U.S. during the pre-Oscars seasons, and will be exhibited at the Breguet booth at the BASELWORLD Watch & Jewellery Show in Switzerland from March 22-27, 2018. Breguet created an exact replica of the Winston Churchill pocket watch for the movie.